A service in America that allows you to NOT speak to people but instead just leave a voicemail message has become an instant hit. Slydial is perfect for deliberately avoiding the people that you don't want to speak to, and still give the impression that you aren't avoiding. 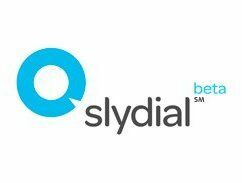 Slydial's website gives an example: "You desperately need to call your girlfriend but she is a talker and you don't want to spend an hour on the phone with her because you would much rather watch the game with your buddies. "Leave her a sweet voicemail and get a hall pass for the night." All US people need do is ring the slydial number and then enter the number you don't want to speak to, and you'll be put straight through to their voicemail. It can only be a matter of time until this hits the UK, but until then TechRadar is avoiding your calls.